/ Blog / Why is Marketing so Important for your Business? Why is Marketing so Important for your Business? Are you so busy running your business, selling to your customers and dealing with suppliers and invoices that marketing is a distant memory at the bottom of your to do list? Well let me ask you this what would happen if top brands like Coca Cola, Guinness or McDonalds stopped doing their marketing? I will tell you, their customers would stop buying and go to their competitors. It is so easy to work in your business and spend no time promoting it. But then what happens when customers come looking for your product or service? They will not be able to find your business because you are not doing any marketing and they will find your competitors instead and buy from them. That is why marketing is so important for your business, just as important as sales, suppliers, accounts and operations. 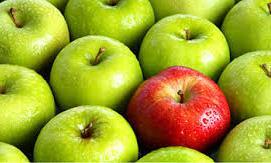 Marketing makes your business stand out from the crowd. Once you understand that marketing is so important for your business then you are on the right road to talking to your customers and encouraging them to buy from you. By using innovative and tactical marketing planning you can tell a story about your business and product that connects with your customers. Then the customer journey to buying your product begins. Your marketing activity should engage with your customers at every touch point and guide them to purchase. If you are interested in talking to your customers through creative targeted marketing that gets results then contact JEM Marketing via email on jenny.ervine@jemmarketing.co today.